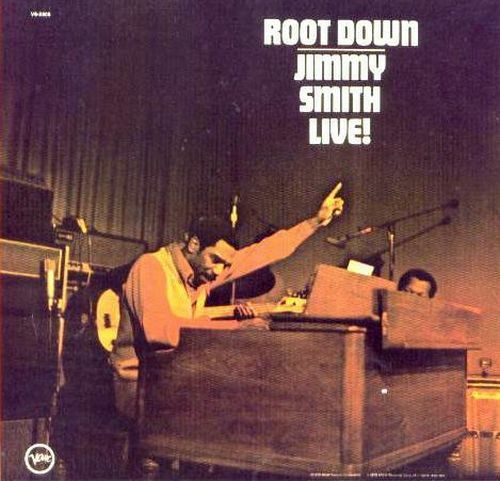 Jimmy Smith’s 1972 Live LP Root Down is greasy, nasty and funky all the way. Recorded with his band live in Los Angeles, the occasion proved to be a watershed moment for soul/jazz/fusion. Having revolutionized the Hammond B3 and the way it’s played, this LP single-handedly sent me out seeking similar genre albums for years after first hearing it. Related: With all the B-Boys coverage on the Drunkard the past week, here is one more (semi) related track to to add the mix. See the Beastie’s tribute/ode below off their 1994 album Ill Communication. Elsewhere: Looking for more B3 organ jams? Hit up Funky 16 Corners old school Hammond mixtape. + Jimmy Smith available through eMusic’s 25 Free MP3 offer. I discovered Jimmy after hearing “Walk on the Wild Side” from the Casino soundtrack. I think that is a much better track. Check it out. It shows how much I pay attention to liner notes and such, but seeing as “Root Down” (along with “Sabotage” and the other singles off of Ill Communication) were my introduction to the Beasties, I’d never heard this song before. Obviously the entire underpinning of the song. Awesome.